The practice of medicine is not something one does alone but the work of a team which will have more members as the tasks to be accomplished become more numerous and the domain to be explored larger. Overseas, there has always been team work to be done together with native personnel who are all the more indispensable as they know the country, the people and the languages well. 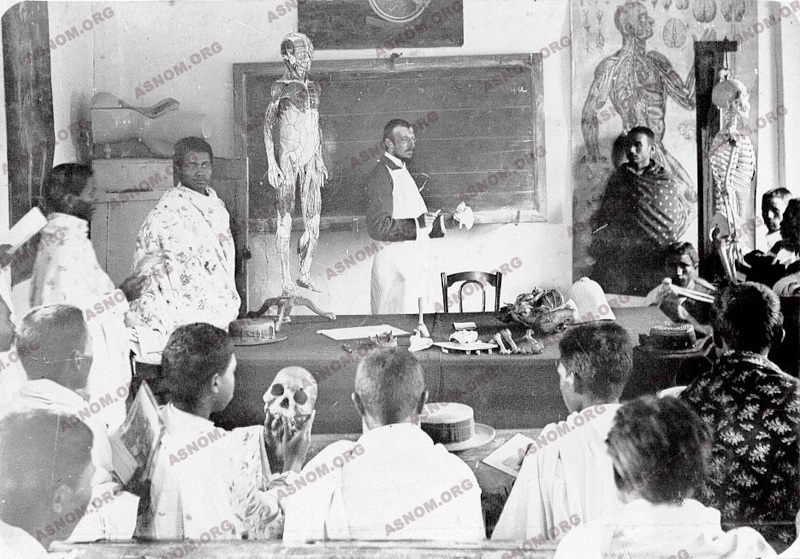 They have been trained by physicians and chemists of the Colonial Health Service who, in the circumstances, have become teachers. For the auxiliary doctor or the orderly, in the native school of medicine or the school of nursing, the work was long, difficult and exciting.